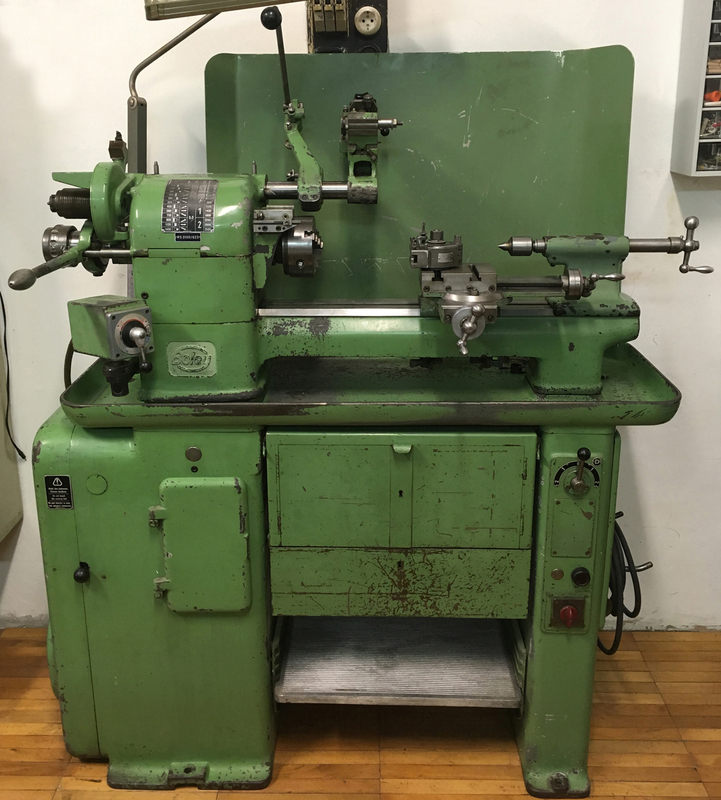 G. BOLEY "New Streamlined Size 4"
Although production continued of a similar lathe until at least 1992, by 1960s the 4".7" x 17.7" (120 x 450 mm) G,Boley "New Streamlined Precision Lathe No. 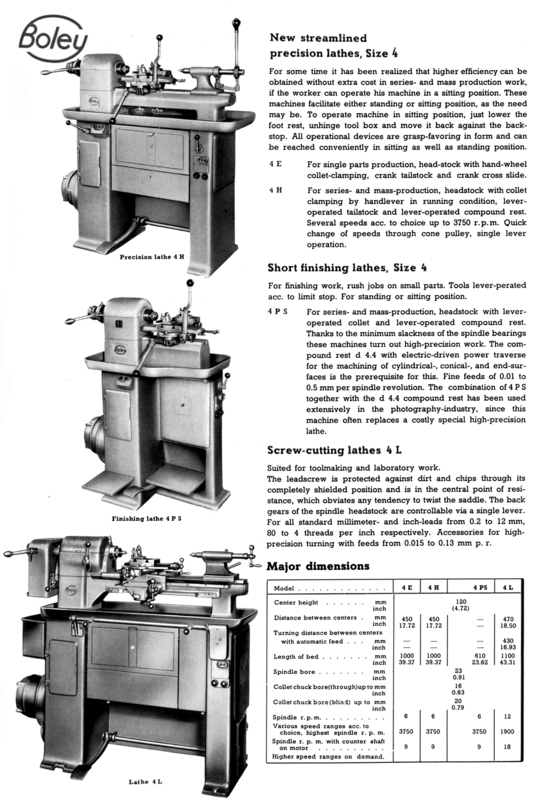 4" (as it was described in English-language catalogues) was becoming something of a rarity. 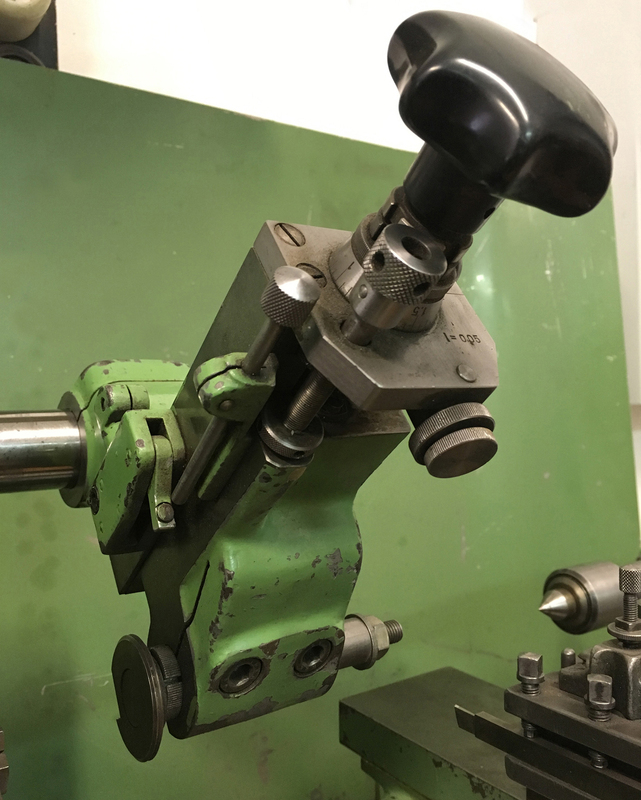 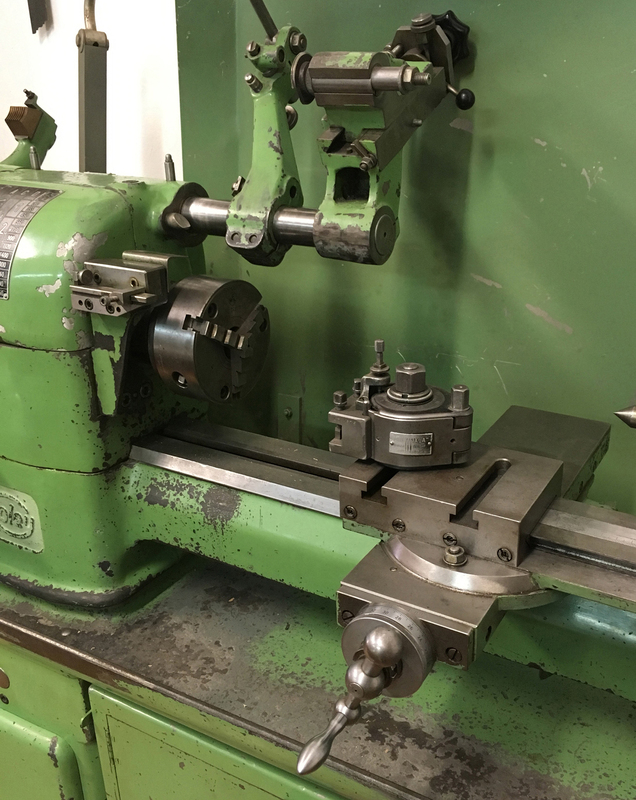 The lathe was, in essence, just a very robust, high quality, precision a plain turning lathe; however, like most of the type, from the earliest Stark of 1862, it was able to perform in the three distinct roles: toolmaker, second-operation and production capstan. 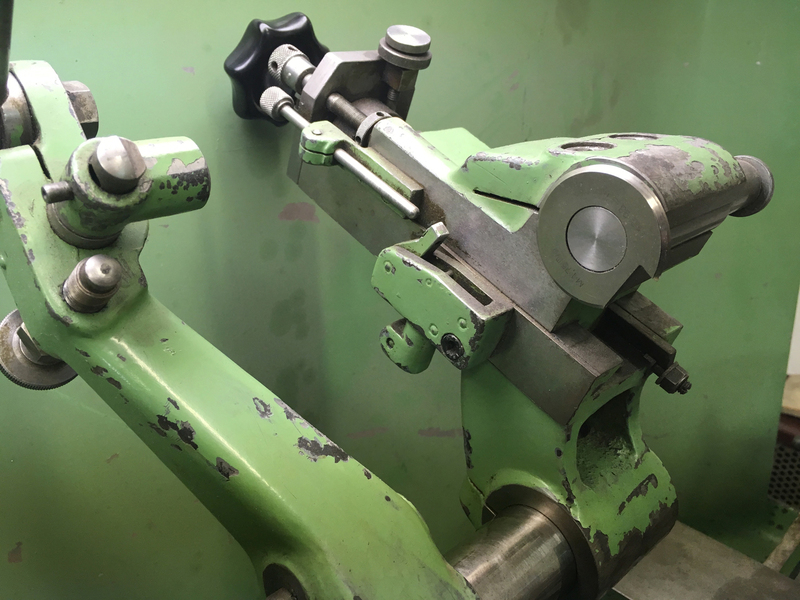 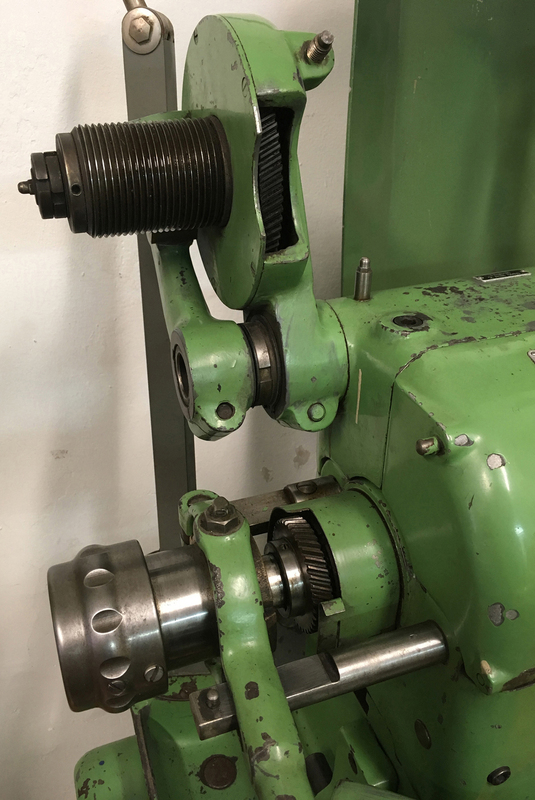 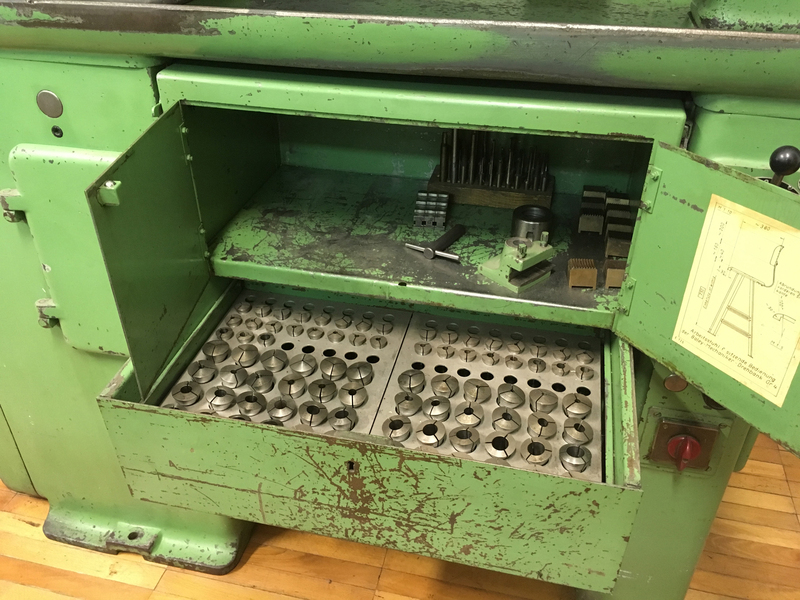 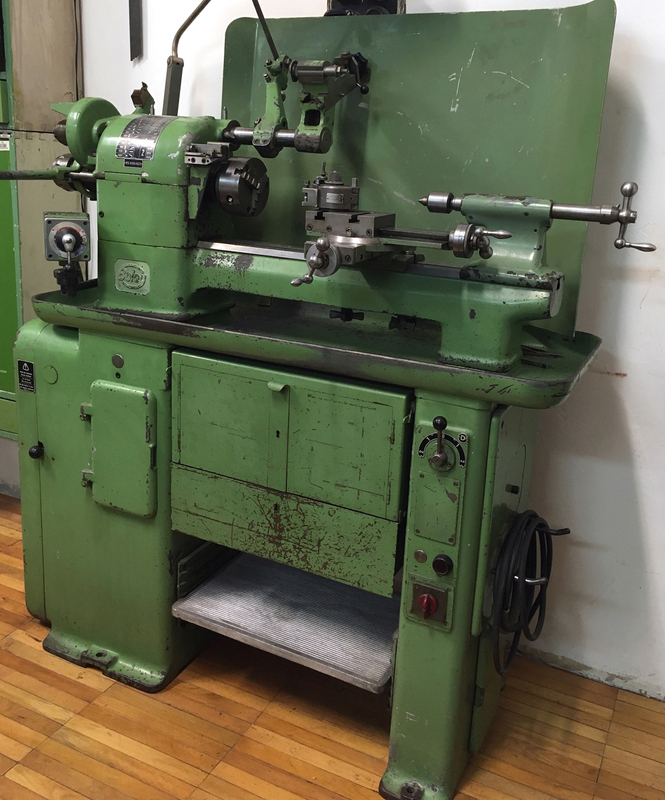 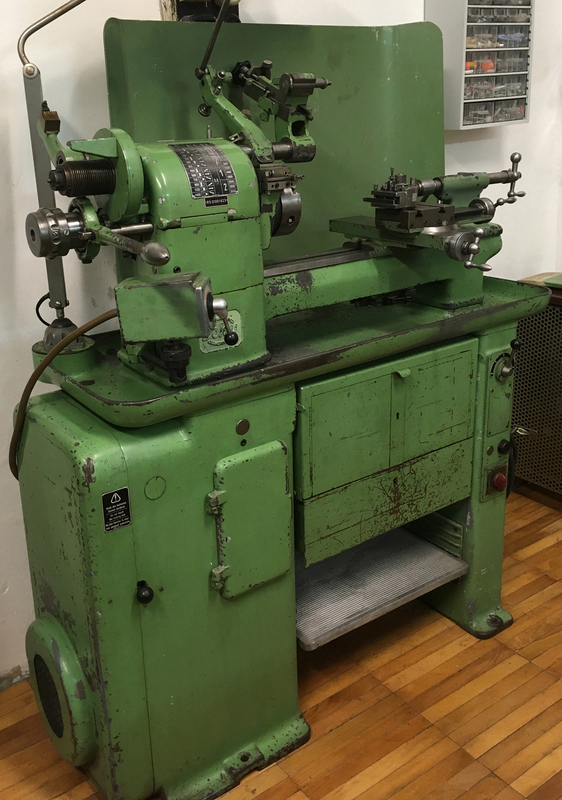 The toolmaker's type, intended for one-off precision jobs by a skilled turner, was equipped with a screw-feed compound slide and tailstock, while the second-operation version (sometimes called a "finishing lathe") had a choice of screw or quick-action lever-operated slides. 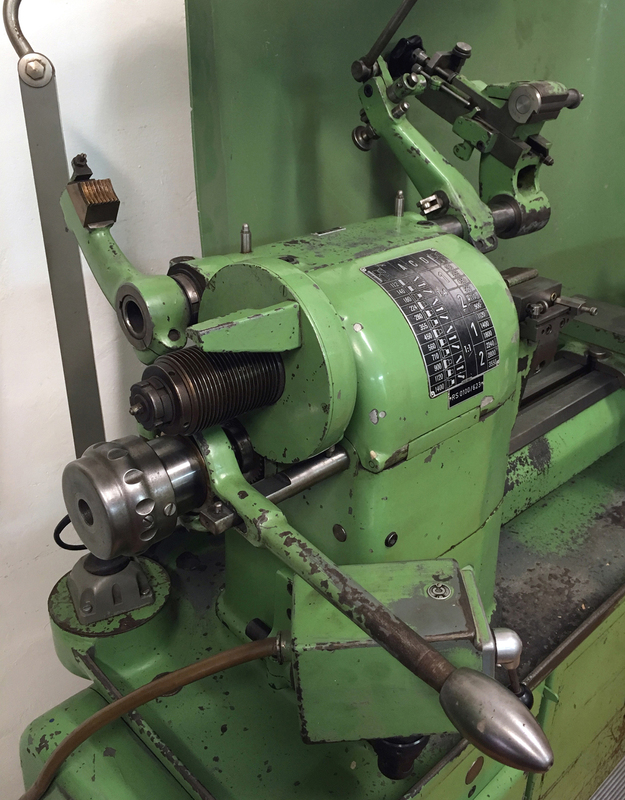 Arranged for production, the lathe could be fitted with a bed-mounted 6-station capstan unit, a lever or screw-operated cut-off slide, lever-operated quick-action collet closer - and sometimes a special high-accuracy "chase" screwcutting system carried on the headstock (as fitted to the example shown below). 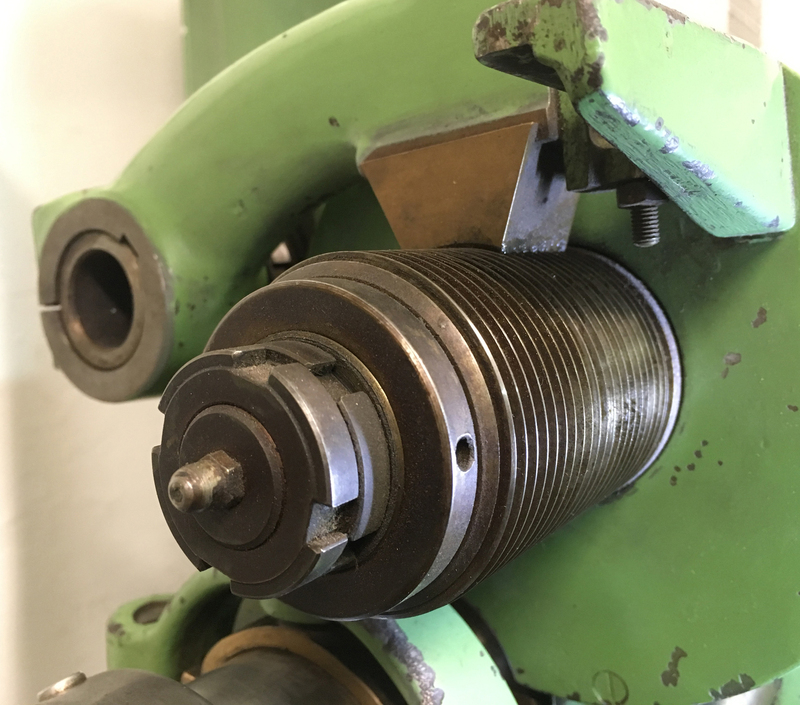 By the simple means of changing the fittings bolted to the bed, each version could be assembled in a matter of minutes and pressed into service with a minimum loss of time. 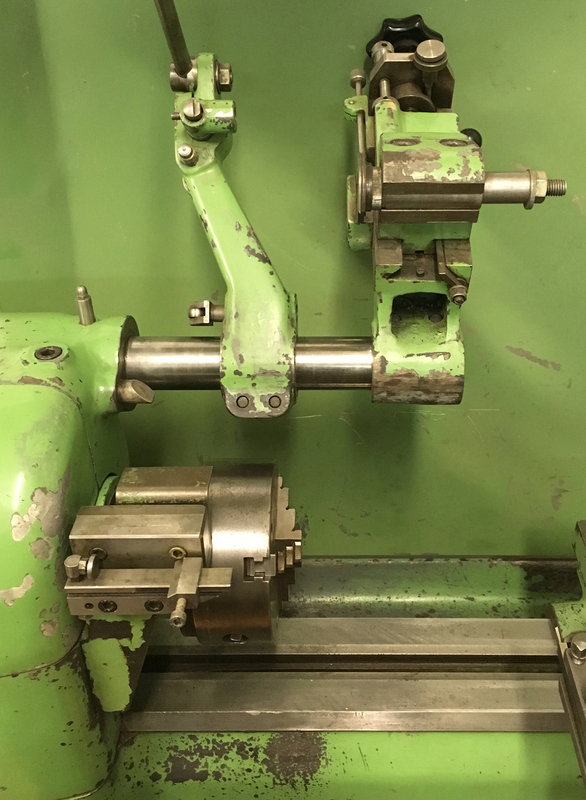 Superbly constructed and close attention to detail - the lathe was intended to be operated by a seated operative - the maker's even provided a dimensioned drawing of the ideal chair to use…. 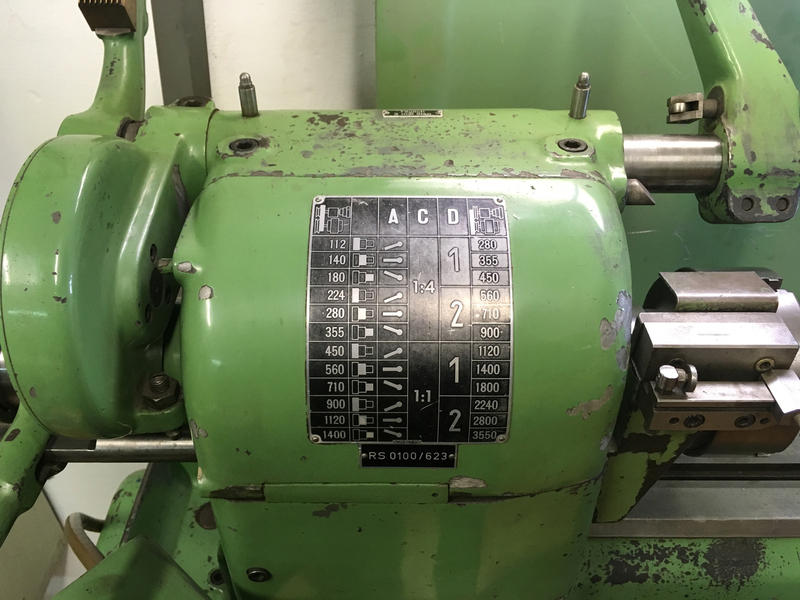 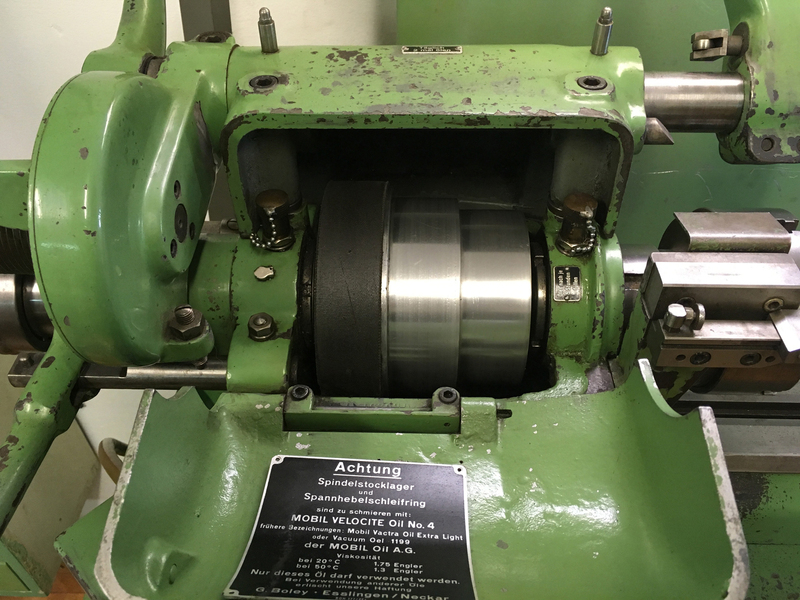 The detailed pictures below - and on the following page - show clearly what a fine piece of work the Boley 4E and 4H lathes were.